Originally published in 1923, this study outlines the aims and methods of roman poets as well as focussing on technique and subject. 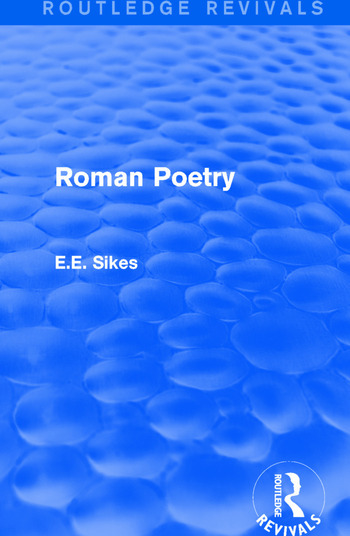 Sikes’ critique of the subject delves into the general character of roman poetry with the belief that it provides an insight into roman life and ideals by commenting on various theories, criticisms and themes found in Roman poetry. This title will be of interest to students of classics.